1) iOS, Android App development on visual studio on Mac with windows running in virtual machine.
" It is not possible to run UITests on iOS devices in Windows. You can only run UITests for iOS devices on Mac OS X." 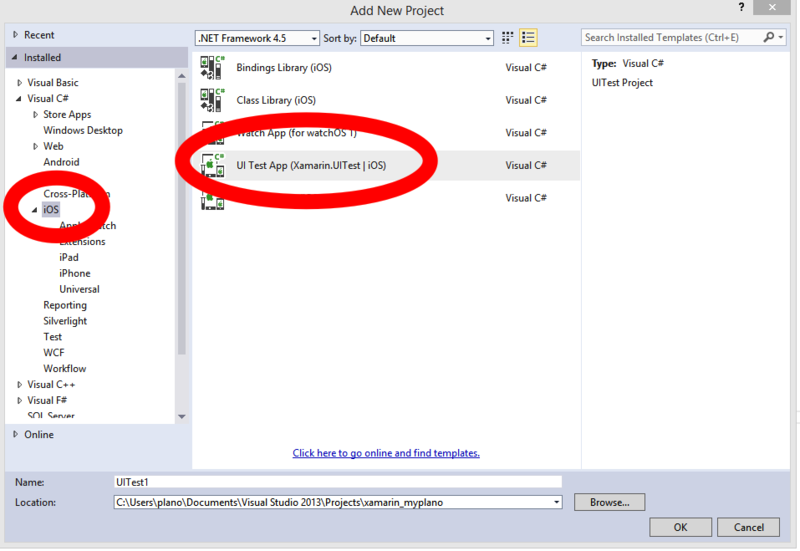 So how can I create UITest for iOS in Xamarin Visual Studio ? // and select the app projects that should be tested." Finally if anyone can give a quick solution to start iOS test or Can tell me from where should I start, I followed documentation and implemented the same UITest for android. Due to some reason I want to create a separate UITest for iOS thats why I did not provide reference in Android UITest. Well Also there is something strange, reference is grayed out here. Not yet, unit test for iOS can be coded just on Xamarin studio. 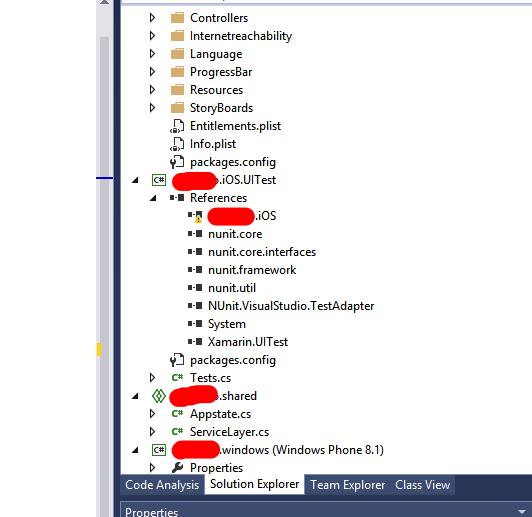 Yes in visual studio its there but quite long time ago Xamarin support told me you can only write unit test for iOS on Xamarin studio. I have exact same issue, did you find a solution to this ? I have the same problem and can't solve it. I have tested my iOS app only on mac using Xamarin studio. @EmyMa341 OK agreed. But is there any guide on how to run UITest for iOS in Xamarin Studio? It appears it is not recognizing the iOS project. Having the same issue, how come Microsoft lets the test project in visual studio projects template but we can't run it on windows. that's embarrassing.